This Elementor tutorial is in two formats. Watch the video or scroll down for the text and images. 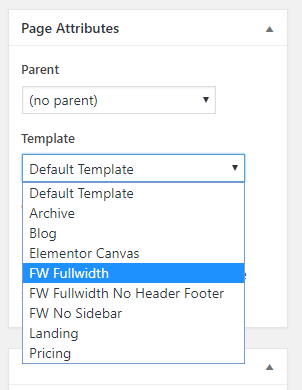 In the Page Attributes section find the Template drop down and choose the FW Fullwidth template type. 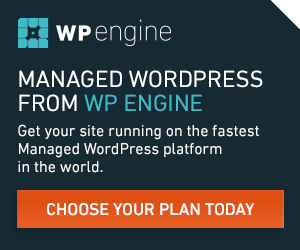 Save your draft or publish the page. It has a habit of jumping back to the default template, so double check. 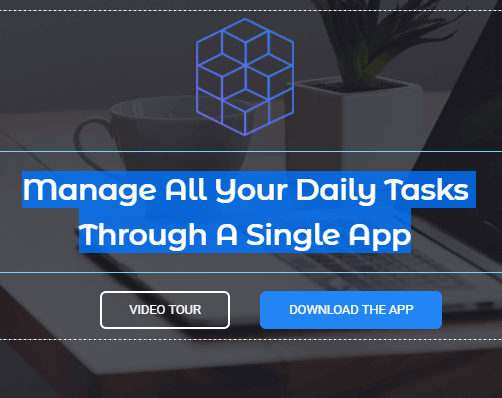 Click the big blue Edit With Elementor button. Click the grey Add Template button. 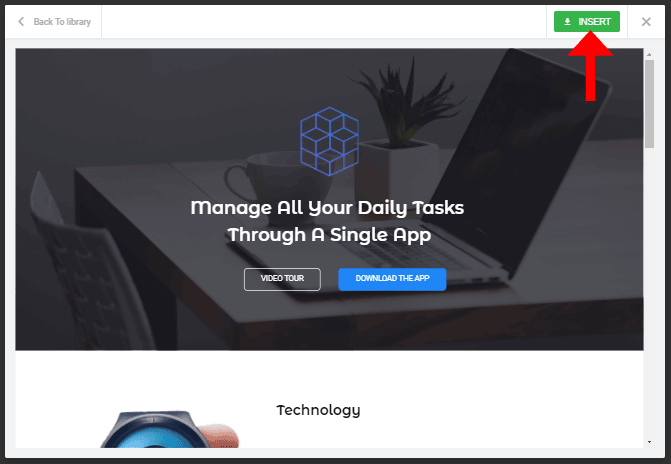 Hover over all of the templates looking for the green button that indicates free templates. When you find one you like, carefully click the thumbnail image, not the green insert button. You now see a larger view of your chosen template. If you like this, click the green insert button. Be careful to click the thumbnail image, NOT the insert button. You then see a larger preview of the template. If you like the template click the Insert button. Take care not to click the green insert button until you’ve made up your mind. Because all images from that template will be added to your media library. If you test several layouts before choosing the one you want to use you can end up with a lot of extra and unused images in your media library, so be careful! 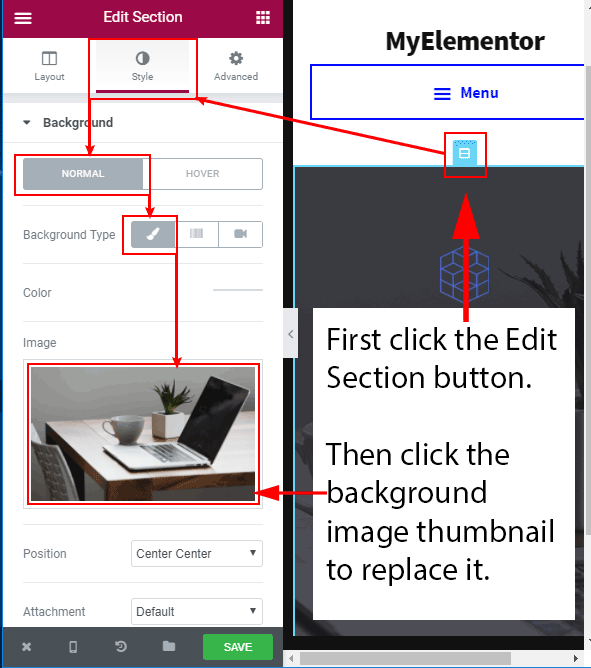 After you click the insert button it takes Elementor a few seconds to build that page design on the page you’re editing. Click the green save button in the bottom left corner of the screen, under the Elementor tools sidebar. You now have an exact copy of the Elementor template you chose. But you need to change the text and you’ll also probably want to change some of the images. We’ll do that in the next step of our Elementor tutorial. To change any text element just highlight that piece of text by TRIPLE clicking or dragging to select it. Then type your replacement text. Changing images can be confusing at first because there are three commonly used types of images, images in your content, icons in your content and background images. 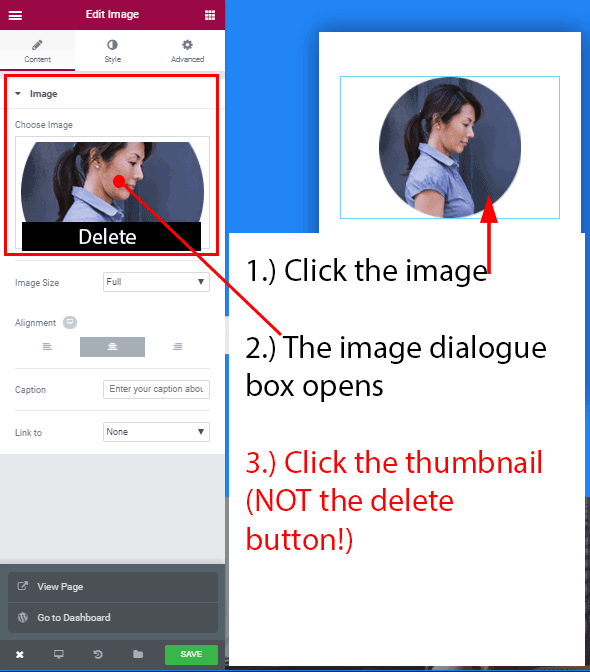 The easiest way to find the settings for the image or icon you want to change is to carefully click the element in question. Be as accurate as you can, click right on top of the element you want to select. Then look in the right hand Elementor sidebar. 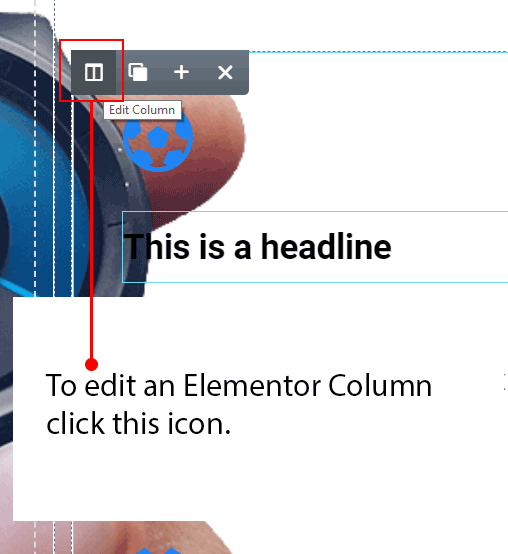 The red bar at the top of the Elementor sidebar will tell you what you’re editing, it will say for instance, Edit Image or Edit Icon. Directly below the red bar you’ll see three tabs. 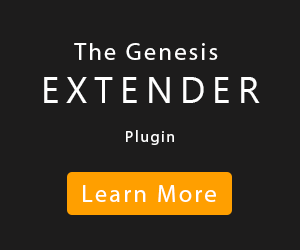 When you select an Elementor element or widget you’ll see: content, style and advanced. When you select an Elementor page section or a whole page row or a column inside a row you’ll see: layout, style and advanced. Click to select the image. The image will display in the left hand sidebar. Click the image and the media library opens. Select a different image, preferably of the same size. Click the blue insert media button. Your new image now appears in your web page. Our Elementor tutorial is really starting to take shape. Find the icon on the page and click to select it. In the left hand column look at the red top bar and make sure it says Edit Icon. Make sure the first tab is selected, it’s the content tab. From the icon drop down list, select a different icon. Experiment with the other settings, view, link and alignment. 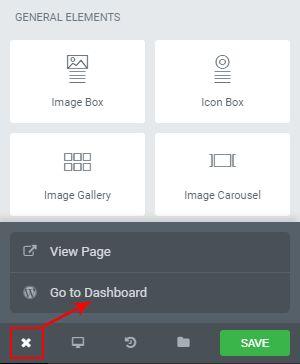 Click the style tab to change the icon’s size and colour if necessary. Changing the background images and colours in our Elementor tutorial. 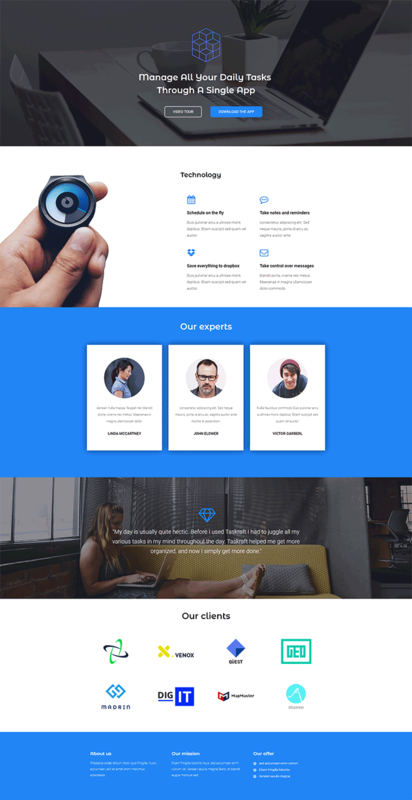 Some Elementor page templates are made from several rows one above the other. For instance the top row of a template may have a large headline on top of an image background. Scroll down the page and the next row may have dark text on a white background. Scroll down further and you may find, for instance, that the next row has a blue background colour. But there are three white content boxes on top of the blue row. These white content boxes could contain images and text. To change these row and column background images and colours you need to find and click one of two very specific buttons. But, be careful. These are very small buttons. The section button is a square with a line that goes horizontally from side to side across the middle. The column button is a square with a line that goes vertically from top to bottom of the icon. Click the section or column button. Look in the left hand side of the Elementor screen. The red top bar will say Edit Section or Edit Column, depending on whether you’re editing a section, which is a whole row. Or you’re editing a column inside a row. Just under the red bar that says Edit Section or Edit Column, click the Style tab. The Style tab is the second of the three tabs. If the section or column has a background image, the image will be visible in the sidebar. Click the image to replace it. If the section or column has a background colour, the colour swatch will be visible in the sidebar. Click the colour swatch to pick a new background colour. Click the Background tab to expand it. In the Background Type section click the paintbrush icon. Then click the image or colour swatch to replace with an image or colour your own choice. 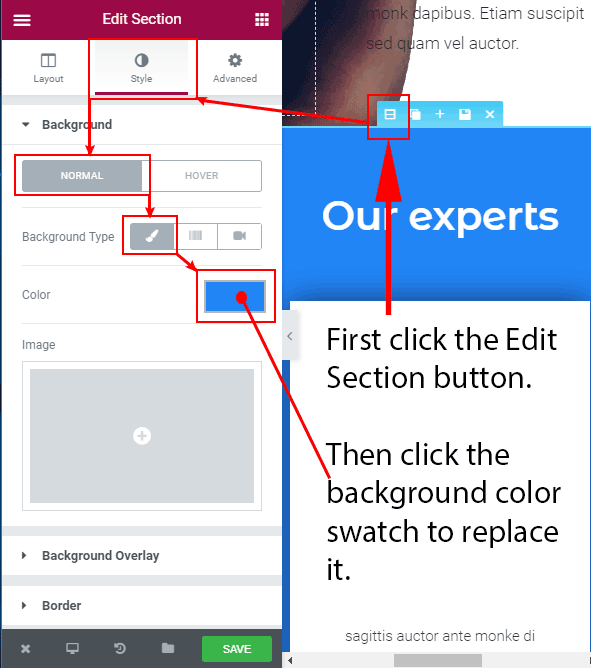 When you’ve worked your way through the whole template and changed the text, links images and colours, your new page (based on this Elementor tutorial :-) is ready to be seen by the public. 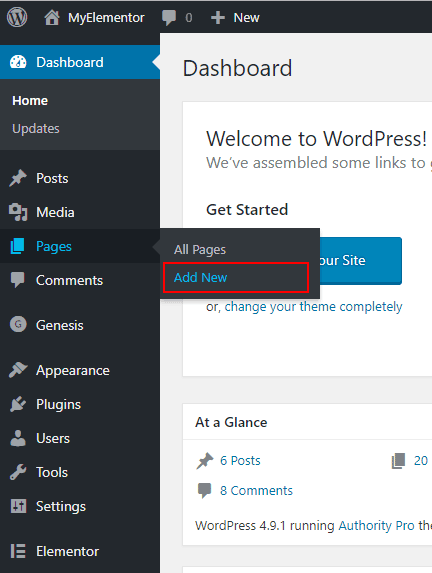 And don’t forget, if your new page does contain any links, in buttons for instance. Make sure you edit those links and that they work as you need them to work before you show your new page to the world. 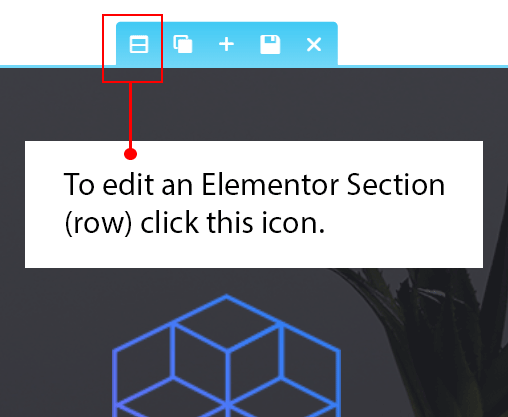 Adding a link to an Elementor button. First select the button in your layout, then type in the url. Make sure you click the green save button in the bottom left Elementor sidebar. Then click the little X to close Elementor and go back to the dashboard. Click the green SAVE button then click the tiny X to go back to the dashboard. That’s it, you’ve completed this Elementor tutorial. 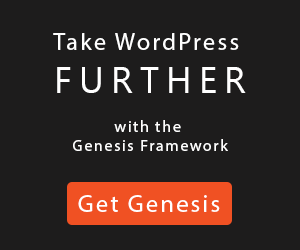 You now have a great looking new web page that you could use as the front page of your WordPress website.